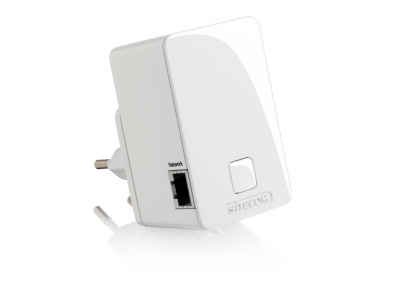 With WLX-2003 Wi-Fi Wall Mount Range Extender N300 you can easily extend the range of your wireless network. 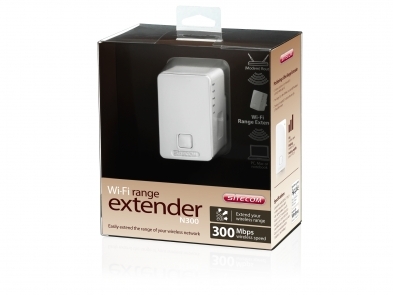 The range extender is ideal to create a stable connection in all the rooms of your house and garden. Thanks to the wall mount design, you can plug the access point directly into any available power outlet. This does not only help you to save space but also to stay clear of messy wires in your home. Thanks to the installation wizard it is easy to set up the range extender within minutes. Or connect devices to your range extender with just a push on the OPS (One Push Set-up) button. The LED indicator helps you find the ideal position in the house to boost your wireless signal. The range extender is based on 802.11n wireless technology and supports transfer speed up to 300 Mbps. It is also backward compatible with the older wireless technologies 802.11b and 802.11g. The range extender supports all existing security standards (64/128-bit WEP, WPA, and WPA2) to guarantee guarantee compatibility with your existing router or modem router.